The barque James Craig returns to her berth in Darling Harbour after a day cruise off Port Jackson. Restored from derelict condition to sailing survey by the Sydney Heritage Fleet, James Craig is a testimony to the hundreds of volunteers who have spent thousands of hours over 40 years on her reincarnation. To one side is another vessel from the Heritage Fleet, the steam tug Waratah. It too was brought back to life by another group of volunteers. 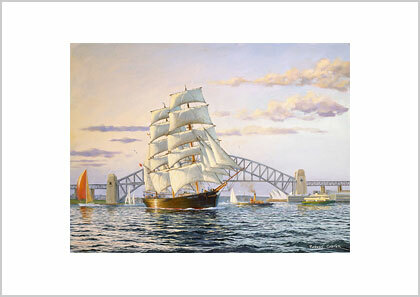 I have taken a certain amount of licence with this painting, as it is unlikely that in this part of the Harbour that this amount of sail would be set. 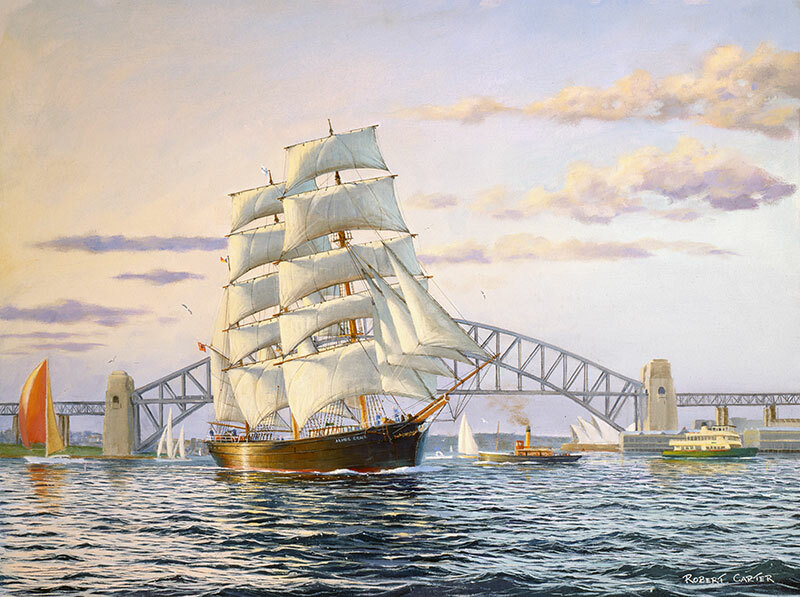 A person in her crew commissioned me to paint the vessel with all sail set and with the Sydney Harbour Bridge in the background.